First roll to see what kind of armament you’ve found. Once the PCs are in a position to inspect the armament, roll to determine its other qualities. What Kind of Armament Is This? Roll 1d. (Need a die roller?) For more on shields, see p B287. Roll 1d, 1d. (Need a die roller?) Ammunition quantity is 2d+Peril. Roll 3d. (Need a die roller?) Roll for all arrows, bolts, and darts. 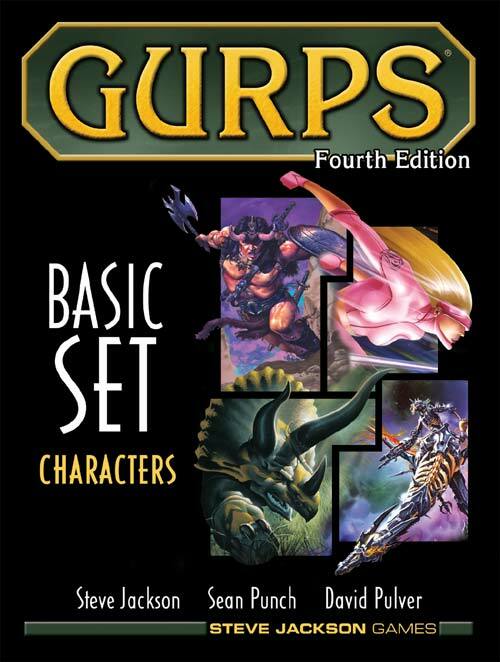 All of these projectiles are described in GURPS Martial Arts (p. 232), except the Bodkin point, which is on p. B277. 1 Cloth Suit Cloth armor, cap, gloves, and sleeves, plus shoes and leather pants. 2 Leather Suit Leather armor, gloves, helm, heavy leather leggings and sleeves, plus boots. 3 Scale Suit Scale armor, leggings, and sleeves, plus pot-helm, gauntlets, and boots. 4 Mail Suit Mail coif, hauberk, leggings, and sleeves, plus gauntlets and boots. 5 Plate Suit Steel corselet, plate arms and legs, sollerets, gauntlets, and barrel helm. 6 Heavy Plate Suit Heavy plate corselet, arms, legs, and gauntlets, plus great helm and sollerets. Anyone can take a look at a weapon, and or a piece of armor, and see how fancy its decorations are – so no skill roll is required in order to learn the results of a roll on the table below. How Fancy Does This Armament Seem? Roll 2d and add Peril. (Need a die roller?) Once you’ve determined how many embellishments the item has, open up your copy of Dungeon Fantasy 8: Treasure Tables and roll to determine what those embellishments are. How High Quality is this Armament? Only roll once you’re in a position to learn this information – this might mean having the weapon inspected an expert, or else making a successful check against an appropriate skill. Now determine the actual quality of the item by rolling on the appropriate tale below. If the result cannot apply to the weapon in question, move down the table until you reach the first result that does apply. “Cheap” weapons must have at least one decorative embellishment; add one if it doesn’t already have one. Most of these are explained in Dungeon Fantasy 1 (pp. 26-27) and Dungeon Fantasy 8 (p.33). If the result cannot apply to the armor in question, move down the table until you reach the first result that does apply. “Cheap” weapons must have at least one decorative embellishment; add one if it doesn’t already have one. Most of these are explained in Dungeon Fantasy 1 (pp. 27-28) and Dungeon Fantasy 8 (p.35). If the result cannot apply to the armor in question, move down the table until you reach the first result that does apply. Most of these are explained in Dungeon Fantasy 1 (p. 27) or Dungeon Fantasy 8 (p.35). If the PCs successfully examine the item using supernatural traits such as Magery or a Detect Magic spell, roll on the following table. How Magically Powerful is this Armament? Only roll once you’re in a position to learn this information! Note that the PCs don’t yet know which enchantments are on the item – only that there are enchantments, and how many there are. Once the PCs have actually identified those enchantments, roll on the appropriate table below. For partial pieces of armor, reduce the cost of the enchantment proportionately using the table in GURPS Magic, p. 66.